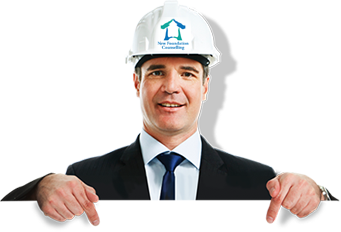 Counselling - Mental health at work in the Construction & Property industry. Mental Health at Work: What Is Counselling and Is It Right For Me? When you have toothache you see a dentist. When you have a virus you see a doctor. When you have trouble with your eyesight you see an optician. You wouldn’t hesitate to consult any of these professionals so you shouldn’t be reluctant to see somebody about something as important as your mental health? Throughout our lives we find ourselves in situations which are distressing, difficult or simply overwhelming and its times like these when we can use a little help in the form of a counsellor or therapist. The BACP describes counselling generally as the “talking cures”. There are several different ways and theories behind the the science of psychotherapy but most have a proven track record of enabling positive change for the person entering into the therapeutic process. One to One counselling is conducted confidentially in a private comfortable space, where your counsellor will form a therapeutic relationship with you in which you are listened to, with empathy and not judged in any way. The therapeutic relationship is a professional relationship of trust and requires openness and honesty and a commitment to work together to create and achieve the desired results or goals agreed at the outset. The most well-known techniques are Cognitive Behavioral Therapy (CBT), person centered approach and psychodynamic approaches. Other counsellors practice art or music therapy or other more specialist approaches. Many counsellors work integratively drawing on more than one technique to help their clients deal with work related stress and mental health issues. In common, the focus is on helping people think about and understand their own behavior and then to make necessary alterations – particularly in terms of removing destructive or harmful behaviors or thinking – in order to feel happier, healthier and more productive and help people make better choices or changes for themselves. People seek counselling for many different reasons – some because they’ve suffered a loss or have come to a crossroads in their life such as after a divorce or bereavement and, others simply because they feel they’ve lost their way and need a little help to get back onto the path of contentment. Today’s world moves at a breakneck speed and many of us are working longer hours, juggling work with family and putting ourselves under a great deal of pressure – all of which can make us feel isolated and dissatisfied with our lives. This is never more true than in the construction industry – stress in construction is a growing issue within the UK both for men and women in construction. The object of therapy is to get to the root of a patient’s unhappiness and then to work together to see the issues more clearly and then to resolve those issues. Your therapist will agree a schedule of appointments with you, usually once a week, and it’s extremely important that you keep these appointments. Remind yourself that nothing is more important than your mental health – with commitment from both yourself and your counsellor, you’ll see real progress and real improvement. Our counsellors use a number of different dynamic and innovative methods and these will be explained to you during your first visit. Your sessions with your therapist will always, no exceptions, be confidential and will take place in a safe and soothing environment. During your sessions, your therapist will encourage you to talk about how you are feeling and will listen, encourage and empathise in order to help you understand the underlying cause of your distress. Counselling is not about the giving and taking of advice or a friendly chat with a friend – the aim of your therapy is to help you to understand yourself and your behaviour in order to make positive changes – you hold the key to improved mental health and, together, we can unlock the potential for increased happiness and wellbeing in construction. We offer up to eight sessions free of charge after which there is the option for further sessions which will be payable in advance.